Estate jewelries are truly unique piece of metals that deserve the best possible price. Selling off this unique piece of metal requires a professional platform and you cannot trust of an amateur to get a good price. This is exactly what you get when you are with us, as our experienced professionals work diligently to get you a good price for your assets. 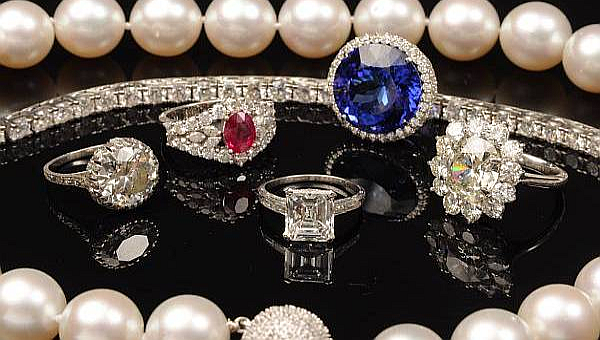 When you are with us you don’t need to search for any appraiser for selling off your estate jewelry. Trustworthiness and transparency is our priority and we make sure that everything is conducted in a secure manner. Estate jewelry has always been in demand due to its uniqueness and popularity. Most people sell their estate jewelry when they are need of fast cash and the price of gold is at its peak. Estate jewelry that has been in demand among buyers around the world includes early Victorian jewelry, Georgian period jewelry, Memento Mori jewelry and retro jewelry. The main benefit that you can enjoy on selling these estate jewelries on our site is that we ensure instant cash delivery on your hands within few days of sending these items on our office address. We offer the safest ways of delivering costly items without any type of troubles in the mid way. We treat our customers fairly and always display the selling prices of every items including estate jewelry in our website. For easy item delivery, just follow the shipping instructions mentioned in our site. But before delivering these items do not try to clean or polish it yourself otherwise you will fail to receive the actual payment. Leave that responsibility at our disposal. While delivering such item you need to furnish the details of your legal ownership otherwise we shall discontinue our business with you instantly. Our site mainly prefers to deal with the actual owners while purchasing jewelries and gold coins. If your estate jewelry comprises of precious gemstones then our expert shall separately cut such gemstones from your jewelry and evaluate its value in the international market. If these gemstones are found valuable in the market then you shall receive additional cash amounts including the cost of those jewelries separately. We have a professional approach to evaluate the price of the metal and make sure that the quality of service is not compromised. Once you deliver the estate jewelry at our disposal we have the right to test such jewelry using our own methods. We can understand your sentiment with the estate jewelry but it would be wise to earn some money in selling such items rather than allowing them to rot in the layer of dust and dirt. Besides, we also buy estate jewelry of other Asian and European nations belonging to different historical periods. So if you encounter any such age old antique jewelry just sell it on our platform. Apart from jewelry we also seek to buy gold and silver coins, silver bars and other precious items from the users.